Don't know if you want it or not, but have a close look at the points I make and contrast those who can only predict the end of time as we know it, if the CWB loses it's monopoly. Grain Growers of Canada Pleased With Barley Plebiscite (Ottawa, ON. Sat. January 13, 2007) - Ross Ravelli, President of the Grain Growers of Canada (GGC) applauded the Federal Governments recent decision to hold a vote on barley marketing amongst western farmers. "The Grain Growers of Canada are pleased with the announcement by Minister Chuck Strahl that the Government is moving ahead with a plebiscite onbarley," said Ravelli. "It is important that as many actual barley producers as possible have the opportunity to vote, and so it is important to use the CAIS and crop insurance records." 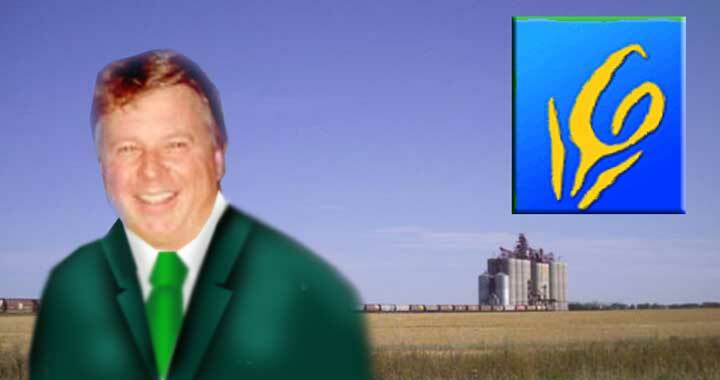 "This should not be an issue of Wheat Board monopoly versus no Wheat Board at all, so the Grain Growers of Canada will be immediately writing a letter to Minister Strahl asking that the plebiscite have a clear question with CWB as a barley marketing choice," said Ravelli. "Some producers will want the comfort of knowing the CWB will be an option for them in the future, while many others will take responsibility for their own sales, similar to the Ontario Wheat Board today." "Across the prairies today, there are numerous grassroots organizations operating successfully in an "open market," said Richard Phillips, Executive Director of GGC. "Federated Coop and Credit Unions are both good examples in the competitive retail and banking sectors. Their customers are not forced to deal with them. Instead they earn business by providing a level of service and value that attracts and keeps people coming back." "CWB and its staff are likewise very capable of competing in a barley market where they are an option, and we are confident that the majority of producers will choose a barley marketing system with that choice," said Phillips. The Grain Growers of Canada is an organization which represents the interests of 70,000 Canadian grains and oilseed producers. Grain Growers of Canada members are: the Alberta Barley Commission, Alberta Winter Wheat Producers Commission, Atlantic Grains Council, British Columbia Grain Producers Association, Canadian Canola Growers Association, Manitoba Corn Growers Association, Western Barley Growers Association, and Western Canadian Wheat Growers Association. For more information on the Grain Growers, please visit their web site.